berkeley - BrainstormOverload - Small design studio. Big ideas. 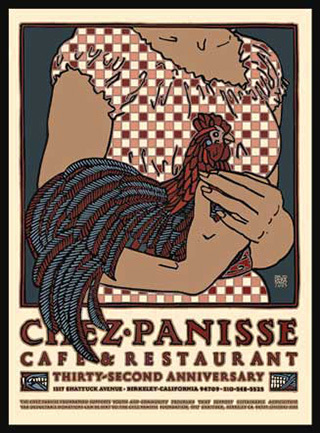 Today the iconic Berkeley restaurant Chez Panisse survived a fire (SF Chronicle). 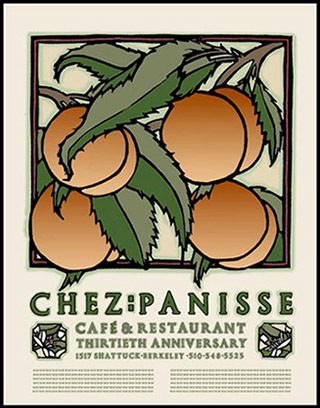 Alice Waters, a pioneer of the local and organic food movement, started the restaurant in 1971. It went on to be named not only the best restaurant in America but one of the 50 best restaurants in the world. 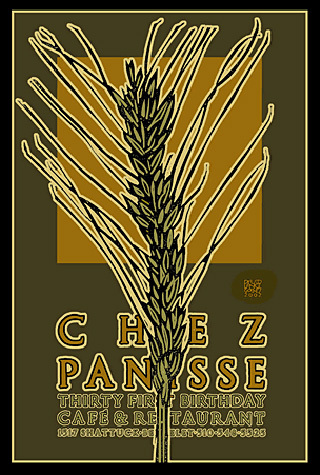 In an effort to help Chez Panisse bounce back our good friend and artist David Lance Goines of St. Hieronymus Press is donating 100% of the proceeds from the sale of any of his extensive collection of Chez Panisse poster to the reconstruction. 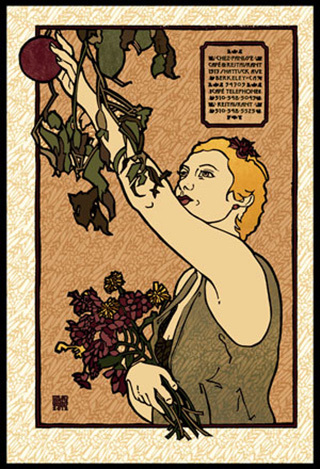 The month of April is your chance to get a beautiful, limited edition, hand-printed poster (often as many as 14 colors) and help the slow food movement get on the fast track to recovery. See the full collection on David’s website. Here are a few of our favorites to entice you.